“I still can’t believe I’m a registered nurse,” says Sue McLean. But perhaps the La Trobe graduate is the only one surprised by that. It seems Sue has always been a nurse-in-training. And now, after completing her Bachelor of Nursing as a mature-age student in 2016, she’s official. Last month she started her graduate year at the Maryborough primary care clinic. Twenty years ago Sue was about to become a young mum to two premature babies. Her daughters were born 14-months apart, at 31 and 33 weeks. From then until now, motherhood has been her number one role, coupled with a varied working life that eventually put her on track to her dream job. 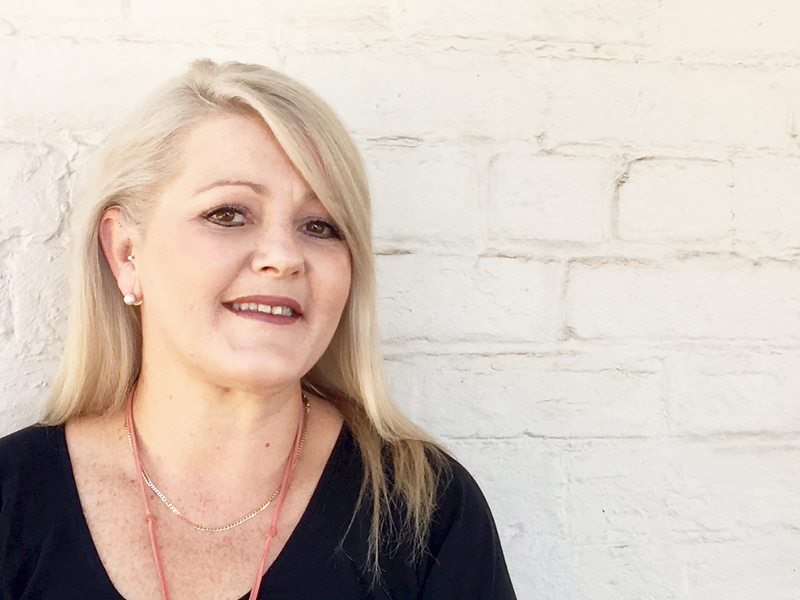 For 25 years Sue did office work for various companies, such as Safeway and Bendigo Bank, and more recently, was activities assistant coordinator at Bethlehem aged care, where her manager recognised her natural ability for nursing. As a result, Bethlehem arranged for Sue to study a Diploma of Nursing. Sue had not only helped nurse her own babies, she’d been one-time carer of her husband when he’d suffered a back injury, and as a young kid in Kennington kept an eye out for her elderly neighbour, Jack Lockett. Long-time locals will remember Jack as Australia’s oldest man, and oldest World War One veteran, who died in 2002 at the age of 111. Sue was also inspired by her youngest brother, Geoff, who passed away from cancer in 2014. Sue remembers driving him from Bendigo to the Peter MacCallum Cancer Centre in Melbourne for treatment, while Geoff had a stern talking to her in the car. At that stage she was studying for her diploma. Sue now passes the La Trobe baton to her youngest daughter, who this year starts a Bachelor of Paramedicine and Public Health at the Bendigo Campus, while her eldest daughter pursues a degree in Ballarat.